At our initial meeting, we will learn about your values, challenges, and goals. The interview will help us determine where you are now, where you want to go, and how we can help you get there. It also provides an opportunity for you to get to know us. The investment plan forms the foundation for the entire wealth management process. At this meeting, we present a complete diagnostic review of your current financial situation. We also make recommendations for how we can bridge any gaps to help achieve your goals. At this point, we are ready to make a mutual decision about whether working together makes sense for you and your family. Assuming we agree to work together, we will execute the documents necessary to put your investment management plan into motion. Once we have agreed to work together, our team of wealth management experts meets separately to prioritize the next steps for your financial plan. This core team features a CPA, a business attorney, an estate attorney, and an insurance specialist. We may call in other experts, if necessary. The result of this meeting is a comprehensive wealth management plan, prioritized to address your most urgent financial challenges first. This meeting provides an opportunity for us to address any questions that may arise during the implementation of your investment plan. We also will provide you with a notebook to help you organize your account paperwork. Scenario planning: For each financial challenge you face, we brainstorm with the appropriate specialists to identify innovative solutions. Recommendation: We present options for your consideration and work closely with you to help you make suitable decisions for your situation. Implementation: Once we have agreed on a strategy, we execute your plan fully and carefully. Reporting: You will receive comprehensive reports that display the results of the plans we have implemented. Follow-up: We periodically review your wealth management plan and communicate any updates. 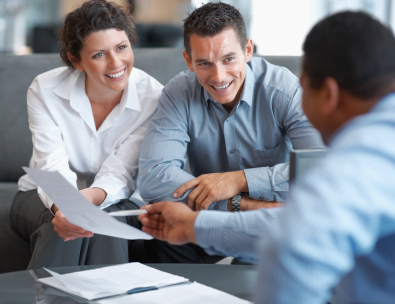 We maintain a dialogue with you to stay abreast of any life or financial changes that may affect your wealth management plan.